Whilst there aren’t as many areas in which it is sensible to apply our solution in the home there are areas which present opportunists to save money and be more environmentally considerate. 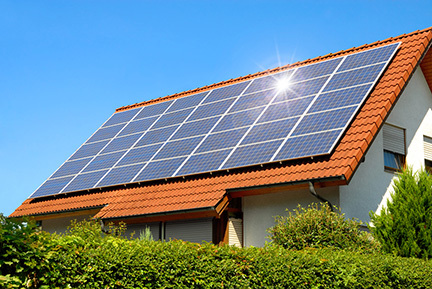 Installing Solar PV on the roof of your property can be a great option to generate your own usable power, even selling the excess back to the national grid. Biomass Boilers may also be a good option for larger properties and estates leading to large savings on your bills. Homes often contain many appliances that could benefit from Voltage Optimisation, our equipment would mean your devices cost less to run and last longer! Please get in touch to find out how we can help your home.